During the 1960's, the world of Middle Earth became the most explored real estate in literary history. But what impact did Tolkien's stories have on a generation that came of age reading of Frodo and friends? Revisit the landmark literature and a handful of pivotal writers that influenced the 1960's. Are they still relevant? Join us as we search for clues of their continued value 50 years on. As always, these seminars feature video and audio clips, with the sights and sounds of the 1960's. Attend all or some of the four total classes! The public is welcome! Monday, September 24; 6:30 to 8 p.m. While the Fifties get the knock of being a time of conformity, beneath the surface the seeds of the Sixties were being planted. Jack Kerouac's On the Road became one of the most influential novels of the Sixties generation, and helped define the forerunners to the hippies – the Beats. Monday, October 8; 6:30 to 8 p.m.
His blockbuster was Slaughterhouse Five, a novel with science fiction themes that enabled Vonnegut to explain what war in the real world was like. But his earlier works were no less insightful, exploring the corrosive effects of the prevailing "What's good for GM is good for America" philosophy. This evening we will explore if Vonnegut really mattered, and discuss how his message plays today. Monday, October 22; 6:30 to 8 p.m.
During the 1960's, the world of Middle Earth became some of the most explored real estate in literary history. 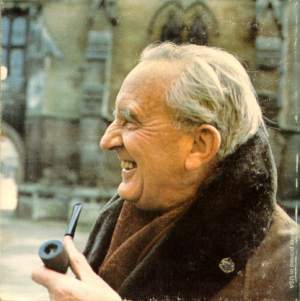 Tolkien's paperbacks seemed to be in every back pocket, and Frodo's exploits were the connection that started many friendships. But what impact did Tolkien's stories have on a generation that came of age reading of Frodo and friends? Can we extrapolate a future for those equally influenced by Harry Potter's adventures? 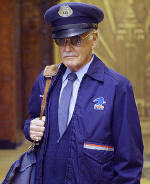 Monday, November 5; 6:30 to 8 p.m.
For a guy who created and wrote comic books, Stan Lee never considered his work high art. That said, forty years later everyone knows his characters, and his stories are the basis of some of today's most popular movies and TV shows. We'll look at his themes and see if we can detect how his stories have affected today's world. Coming soon - Boomer Classics Lectures on CD-ROM!